Breath deeply, listen to the river, and feel the fresh mountain air in your face while you hike through the pure, untouched landscapes of Patagonia in Argentina. Simplicity is the beauty of trekking. 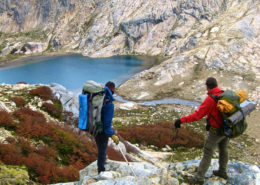 Hiking along the valleys and ridges of the mountains of Patagonia near San Carlos de Bariloche with just your backpack. With your mountain guide, you can search for new spots, find an alpine lake, cross clean and clear rivers, and watch Andean condors float in the winds above the peaks. 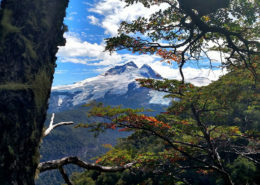 Our Professional Mountain Guides would love to share with you how much the Patagonian Andes of Argentina and Chile have to offer to trekkers: dense Valdivian forests, hanging glaciers, turquoise rivers, waterfalls, diverse flora and fauna, and dramatic summits. 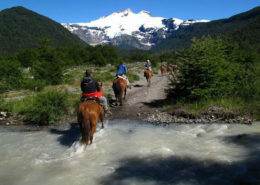 The National Parks of Patagonia are very diverse and on some of our guided excursions we take a lake crossing or go by horseback to access remote terrain. 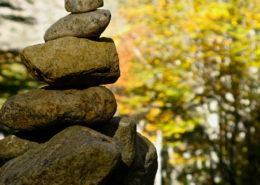 Nights on multi day guided hikes will be spent in quaint backcountry huts or tents according to the trekking trip. 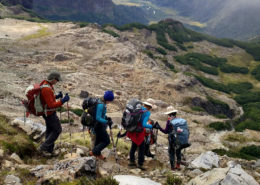 Hiking trips in Patagonia Andes with mountain guideWe have chosen to guide small groups so we can offer our clients personalized trekking adventures in Patagonia. This way we can work with your vacation schedule and move at your pace. Small groups allow our mountain guides to give you personal attention, while practicing safe mountaineering, and without overburdening the pristine environments of Patagonia. 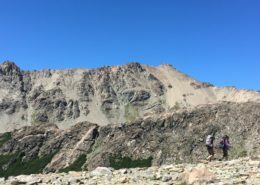 All of our guided hikes include transportation, a certified professional and bilingual mountain guide, meals in the mountain, and equipment such as tents, glacier travel gear, cook wear, etc. 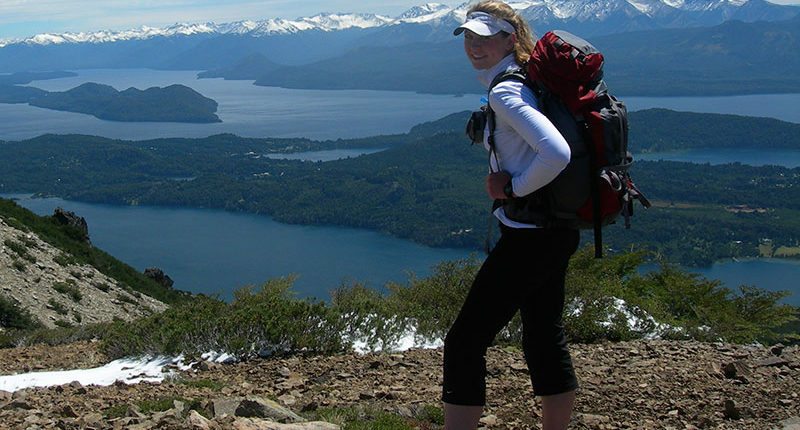 Curious about hiking in Patagonia? We’d be happy to share our passion with you! 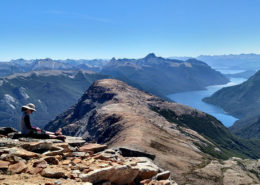 Guided full day hikes out of San Carlos de Bariloche in Northern Patagonia, Argentina. The Lakes District of Patagonia.